Pre-oiled and ready to install. Washable and reusable. 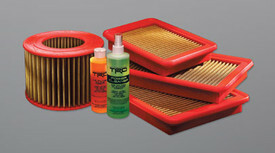 Exact drop-in replacement for stock air filter.